Our handmade terracotta Salt Pig & Salt Piglet have unglazed interiors allowing the porous terracotta to absorb moisture keeping your salt totally dry until needed for cooking. 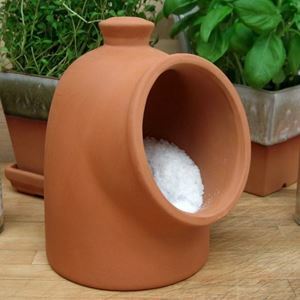 Our salt pig range is available in natural unglazed terracotta or with part glazed exteriors which complement the terracotta. Glazed colour salt pig finishes include Cream, Oyster, Mushroom, Apple & Turquoise. 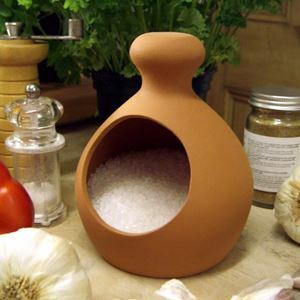 This salt pig is made at our pottery in the UK & to our own design.